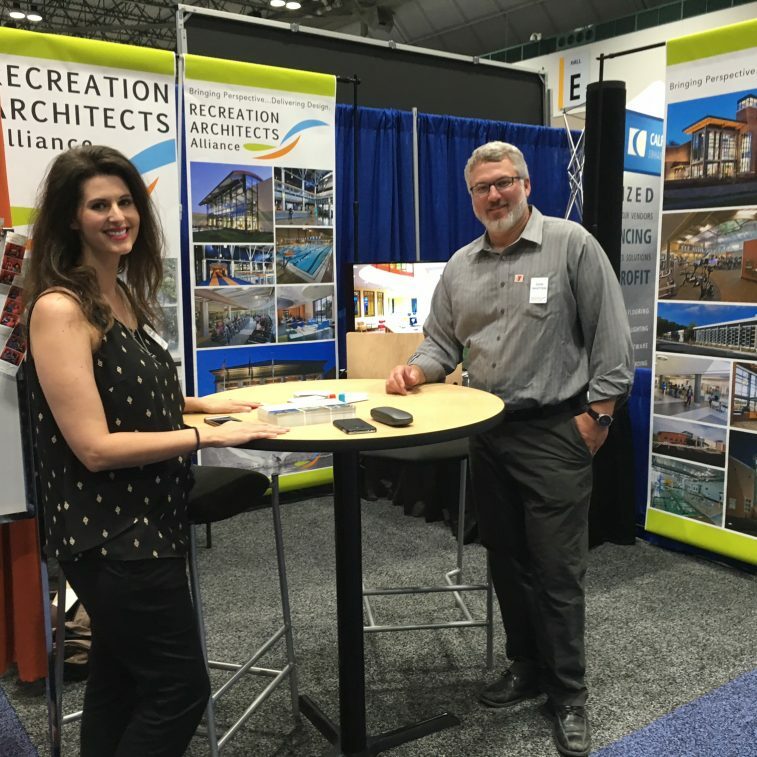 Collins Cooper Carusi Architects has partnered with Philadelphia based Kramer + Marks Architects and WNB Architects from Kansas City to form the Recreation Architects Alliance (RAA.) Recreation Architects Alliance is a unique partnership between architectural firms who bring together unparalleled YMCA and recreational/athletic center design experience. The Alliance brings a network of experience to projects, incorporating the newest ideas, best practices and industry knowledge into each design. While each firm operates independently in defined geographic areas, it is the knowledge sharing philosophy that differentiates the Alliance from the competition. Tapping into the existing collective body of research, data and extensive recreational design experience, the Alliance can better serve clients such as YMCAs, universities and other organizations who provide recreational and athletic facilities to their communities. The Alliance recently attended and exhibited at the YMCA General Assembly in Kansas City, learning about new products and systems for the recreational facility market and new programs offered by YMCAs across the country.